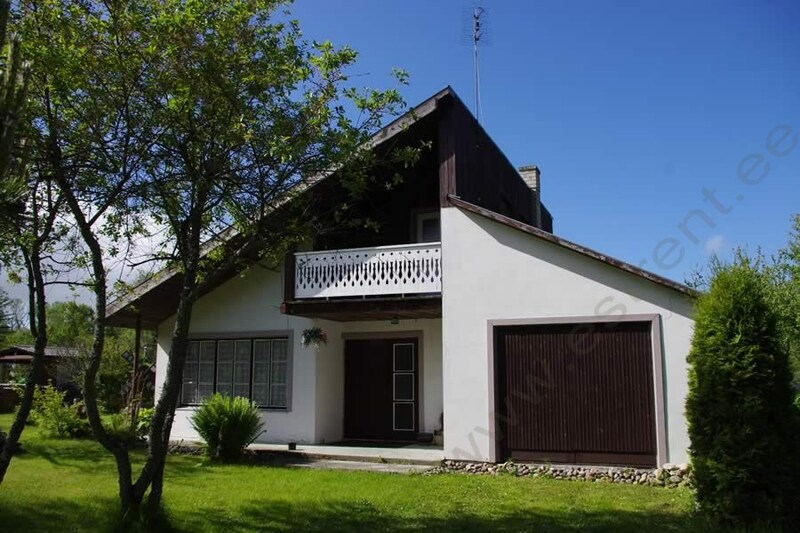 Rent a Holiday Cottage in Saaremaa! A two-storey holiday home for 6 people is located in Karujärv on the island of Saaremaa. The cottage was built in 1900 and renovated in 1997. During renovation the old and rustic elements have been preserved as much as possible, without sacrificing modern conveniences. On the ground floor of the cottage there is a kitchen corner, joint bathroom with shower and WC, a separate bedroom with a broad double bed. On the first floor there are two small rooms with altogether 4 single beds. In a separate building there is a genuine old-fashioned sauna (additional fee). 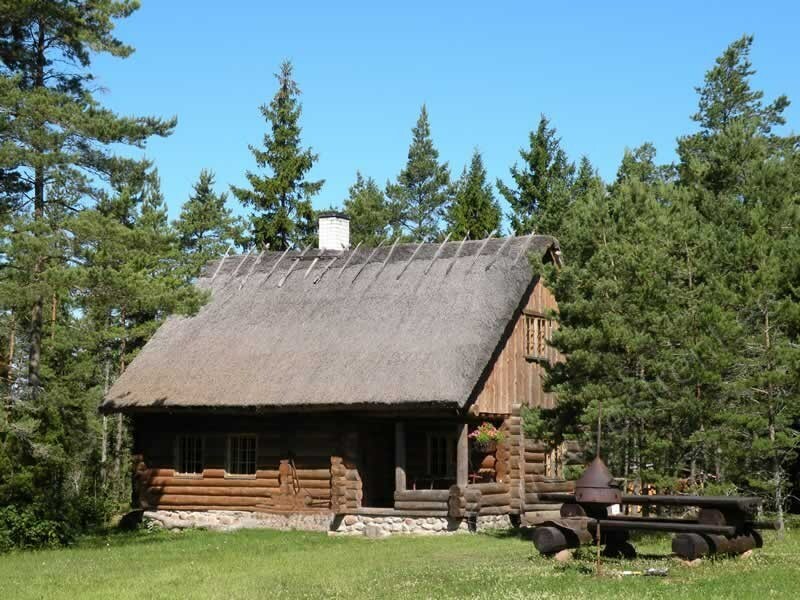 The holiday home lies on the beautiful Karujärv (250m). Sandy beach. The largest centre of Saaremaa - Kuressaare - is only 25 kms away. 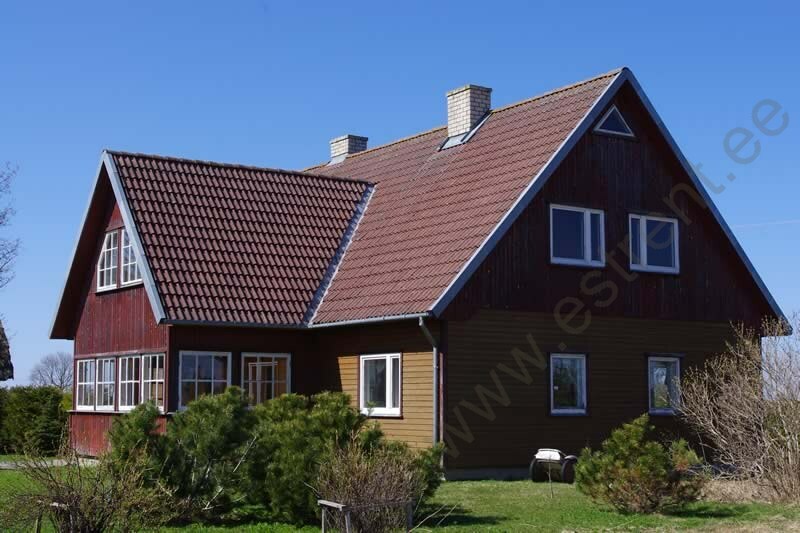 A two-storey holiday home with garden for 5 people in Mändjala on Saaremaa, only 9 kms from Kuressaare. A sandy beach is ca. 1 km away. The cottage has two storeys. A lot of old-fashioned Estonian handicrafts and furniture has been used in the interior. On the lower floor there is a kitchen, dining room, 1 small bedroom (single bed), sauna, shower room, WC. On the upper floor there are 2 rooms. In the first room there are two broadish single beds. In the second room there is a broad double bed and access to a small balcony. There is a fireplace in the kitchen. Sauna is located on the lower floor of the house. Sauna has a wood-burning stove. Use of bath whisk is allowed. Access from the dining room to a roomy closed garden. Possibility of barbequing. There is a swing for children in the garden. The sea is 200 m away. Nearest beach 3 km away. Around the cottage there is a large yard. Possibility of barbequing. 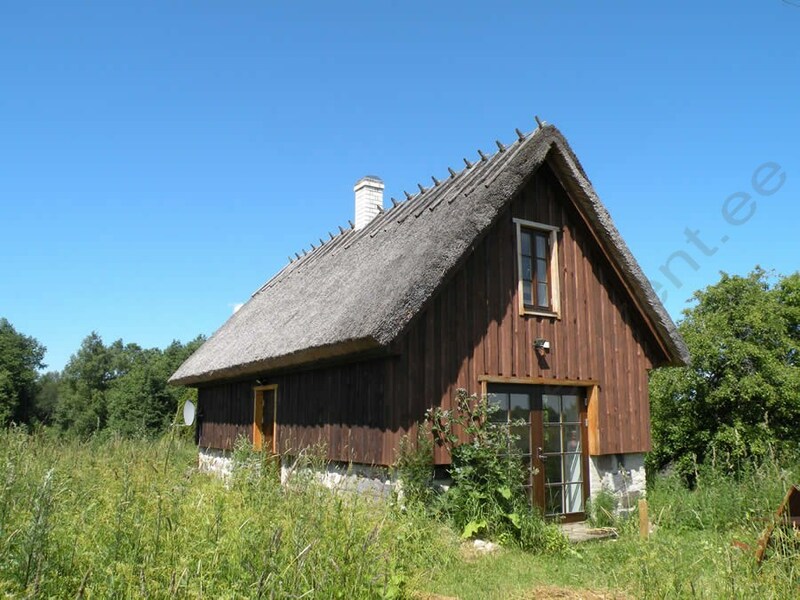 A wonderful holiday cottage in Saaremaa, Estonia, for max. 7 persons! 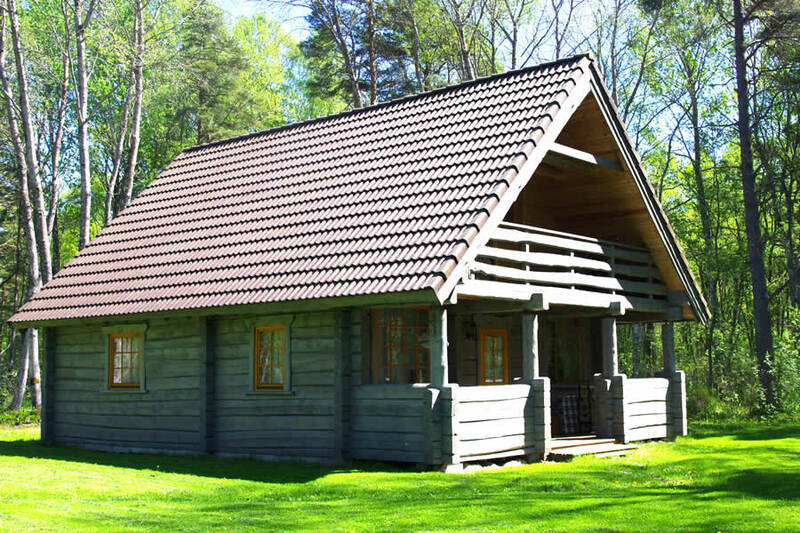 This beautiful and well-maintained group of cabins include a two-storey living quarters, a separate kitchen cabin, sauna and outdoor kitchen. Living quarters consist of two bedrooms (altogether beds for 6 persons), a small kitchen corner, living room with fireplace, WC. The kitchen cabin has a fully equipped kitchen and a dining ares. The cabin has its own terrace. Next to the kitchen cabin is a covered outdoor kitchen with possibility of sitting and barbequing. There is an additional bed for 1 person in the loft. 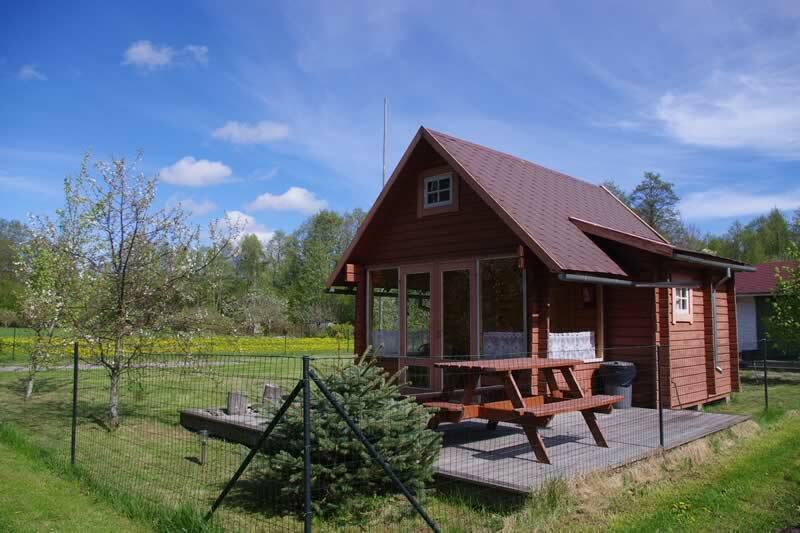 There sis also a separate sauna cabin with shower and a rest room. The sauna cabin also has its own terrace. Next to the sauna is a small pond. 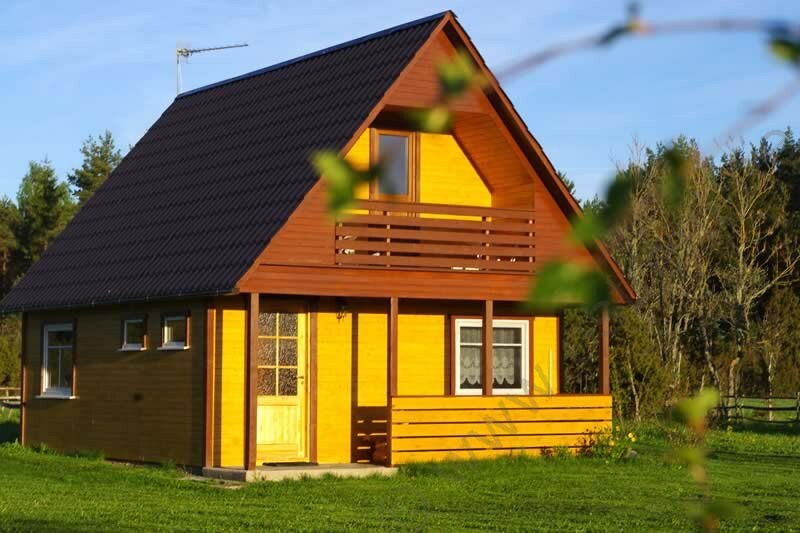 The group of cabins surrounded by a fence is located in a quiet and peaceful spot away from the main road and is suitable for families with children. There is a good asphalt road from Kuressaare to the cabin. Some of the most popular beaches in Saaremaa are along the same road in Mändjala and Järve. The holiday home is located in the western part of Saaremaa, 35 kms from Kuressaare, in the village of Kipi in the municipality of Lümanda. The 2-story cottage is new, made in 2003, and is well suited for use all the year round. Bedrooms are located on the upper floor (alltogether for 4+2 people), possibility for 2 additional beds for additional fee the lower floor consists of a livingroom with a fireplace and an open kitchen, sauna, shower, WC. There is a place for barbequing in the yard. A large toy ship and swing for children, a tower for bird- and animal watching. Hiking trail with various attractions, length 3,5 kms. 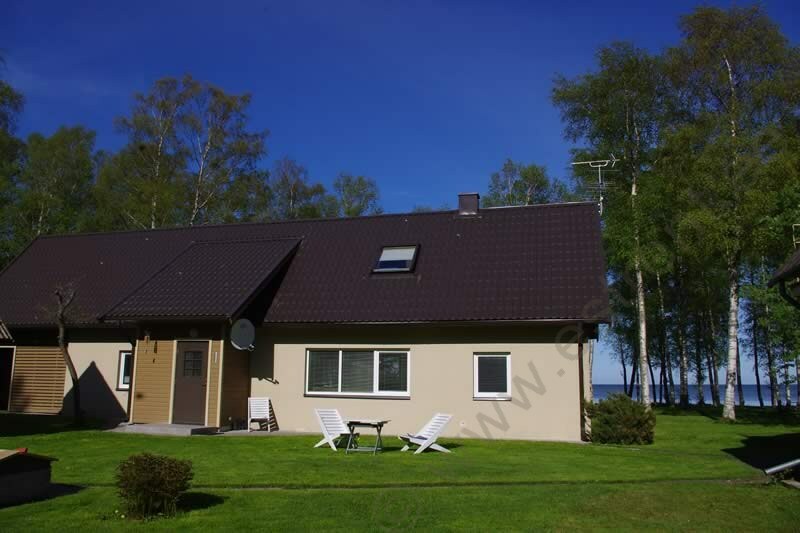 Recreational possibilities include walks in the forest, hunting and fishing, boating on the beautiful Baltic Sea. Bycycles, volleyball, basketball. 100 m from the cabin is a comfortable guest cottage with the possibility of dining every day. A small, comfortable and private holiday home for max. 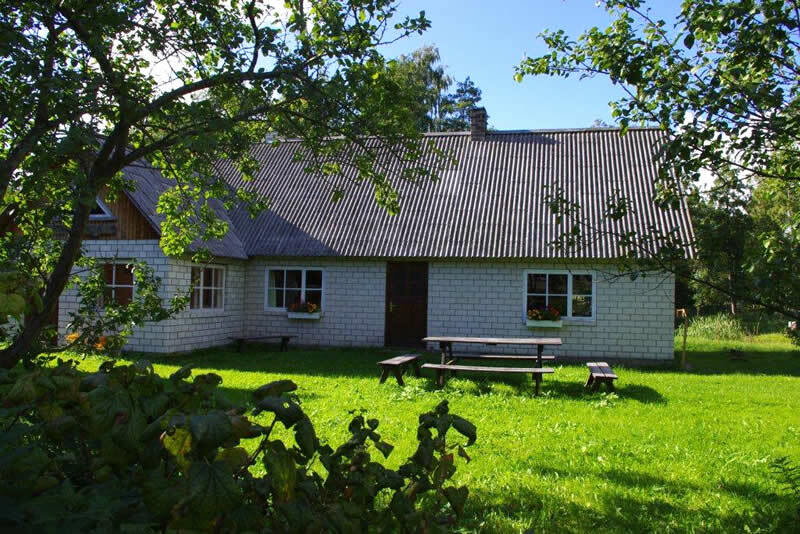 4 persons in a very beautiful part of Saaremaa – in Pärsama, Leisi municipality, Saaremaa. Nearby are beautiful beaches, Triigi harbour, Angla windmills. The history of the cottage goes back to the year 1888, and it was originally used as a storehouse. When restoring it as a holiday home it was considered essential to keep the old-fashioned ambiance. In decoration and interior design modern elemets and comforts have been added. On the ground floor there is a living room, open kitchen, shower room+WC. On the first floor of the cottage there are 2 bedrooms with altogether 4 beds (2 beds incl. in the price, 2 for additional fee, children 0-6 years free). The surroundings and the yard of the cottage have been attempted to keep as close to nature and real as possible: the roomy grounds are naturally wild and romantic: high grass and juniper trees surround the house, a small creek can be found within a short walk in the woods. The main building is 100 m away. 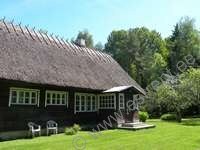 A holiday cottage for max 7 persons in Saaremaa in a quiet and peaceful neighbourhood 30 kms from Kuressaare. On the ground floor of the holiday home is a living room with open kitchen. On the first floor is an open sleeping area. Altogether there are 4+3 beds: 4 single beds, a couch/bed and an additional bed (thick mattress, incl. in the price). TV. Internet for own computer. Possibility to use the washing machine. Large closed grounds. Sandbox and swing for children. Billiards (additional fee). Possibility of barbequing. Nearby is a popular tourist attraction – Angla windmills. Sea and beach 13 kms away. A good opportunity to visit various regions of Saaremaa and get acquinted with local customs. A holiday cottage for max 9 persons in Saaremaa in a quiet and peaceful neighbourhood 30 kms from Kuressaare. Altogether there are 6+3 beds: a double bed (120 cm), 4 single beds, a couch/bed and an armchair/bed. Holiday home for max. 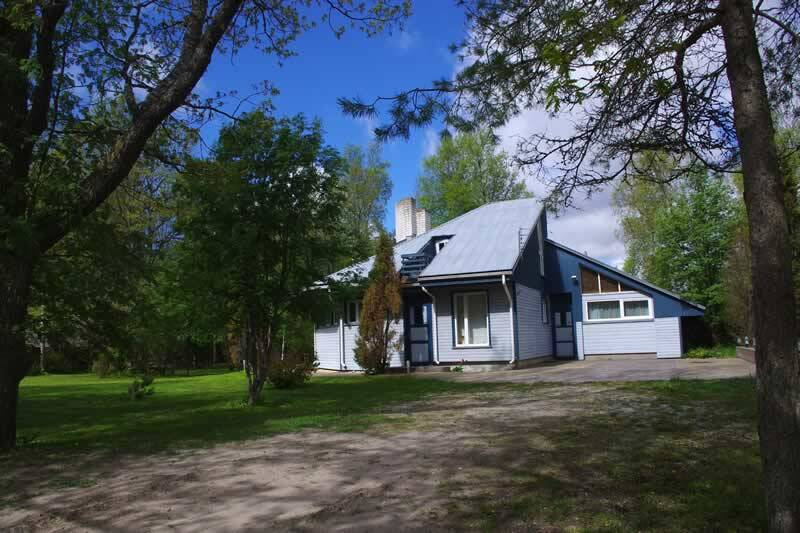 8 persons in the eastern part of Saaremaa, only 1 km from the sea. The cottage consists of a kitchen/room, living room, bedroom, SAUNA+shower room, small rest room, large light veranda. Altogether there are 2+6 beds: a double bed (140 cm) in a separate bedroom, couch/bed in the living room and additional bed (incl. in the price) in the living room as well as a couch/bed in the kitchen/room. If needed, there is a couch/bed for one in the small rest room in front of the sauna. TV. Internet for own computer. Washing machine. Possibility of barbequing. Possibility to rent bicycles (4 pcs., additional fee). The cottage is surrounded by 5000 m2 unfenced grounds, a large part of which is surrounded by a hedgerow. There are no neighbours in the immediate vicinity. There is a direct road of ca. 1 km to the sea where junipers provide privacy for sunbathing. Possibility of swimming. Kuivastu harbour is 28 kms, Kuressaare 55 kms away. A holiday cottage for max. 10 (+5) persons in Mändjala in Saaremaa right on the banks of a beautiful pond the size of a small lake. The sea and sandy beach is only 2 kms away. The town of Kuressaare is a short drive away. The guests have at their disposal in a two-storey holiday home 7 bedrooms, living room (fireplace) with open kitchen, 4 shower rooms and 4 WC’s. SAUNA. * 5 beds for additional fee (rooms nr 1 and 7). TV. Internet (WiFi) for own computer. Possibility of barbequing. For children there is a basketball ring, a slide from the bank directly into water. The cottage is surrounded by a large well-maintained grounds. Very peaceful neighbourhood of summer houses. Kuressaare, located only 9 kms away, offers plenty of opportunities for freetime activities in SPA’s pubs, restaurants, Bishop’s castle and elsewhere. NB! Saaremaa is a wonderful place for birdwatchers! The cottage can be booked all year round. Holiday on Saaremaa in Mändjala! Kuressaare is only 9 km away. Nearest possibility for swimming is 20 m away in a pond the size of a small lake. Sandy beach and the sea are 2 km away. 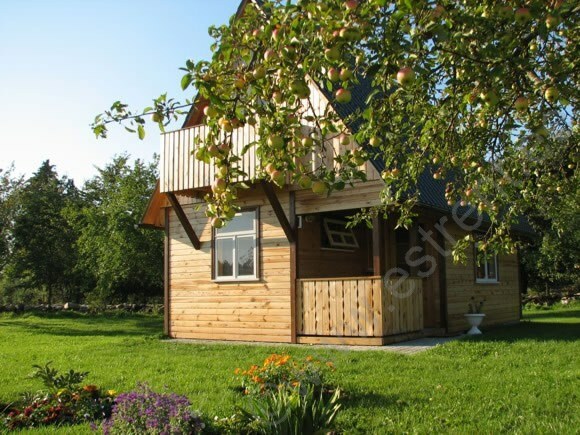 The small one-storey holiday home suits 1 larger or two smaller fimilies (altogether max 8 persons). The holiday home consists of two studios with separate entrances. Both studios have their own shower room+WC. 4+4 beds: two broad double beds and 2 couch/beds. TV. Possibility of barbequing. Large open grounds. Parking on a parking lot next to the house. A small holiday home for max. 5 persons on Saaremaa in Mändjala. suitable for a smaller family or 2-3 adults. The sea and sandy beach are only 2 km away. Nearest possibility for swimming 50 m away in apond the size of a small lake. Kuressaare is a short drive away. on the ground floor of the cottage is a room+open kitchen, shower room+WC. Porch. On the upper floor is a small open sleeping area. Altogether there are 5 beds in the house: mattresses for 2 persons and an additional bed on the upper floor as well as a couch/bed on the lower floor. TV. Possibility of barbequing. Pets allowed. Parking on the parking lot next to the house. 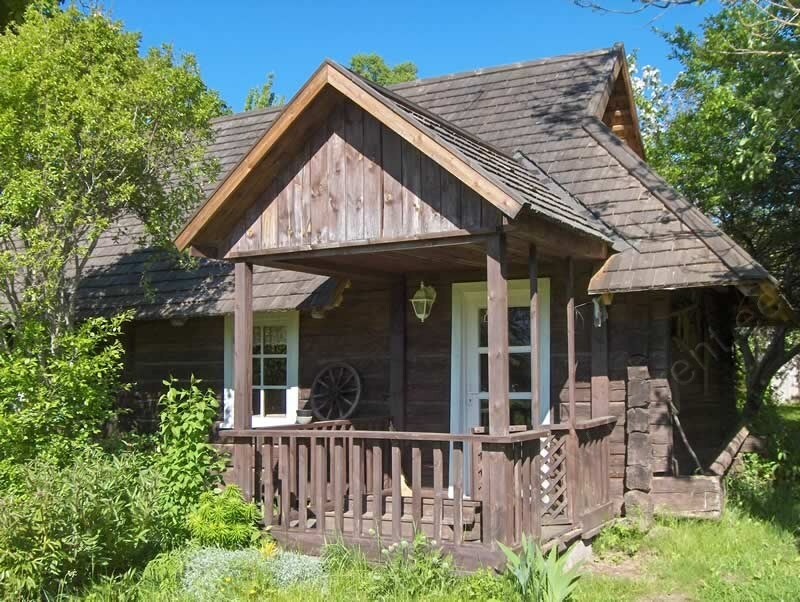 A wonderful opportunity to spend a holiday away from the noise of the city and enjoy real country life in a holiday home on the west coast of Saaremaa. A good location makes it possible to make day trips to various parts of Saaremaa. Several larger and smaller beaches are within a short drive. Kuressaare is 20 min drive away (good asphalt road). The guests are offered a separate holiday home for max. 10 persons. 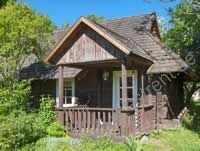 The cottage consists of a dining room with fireplace, kitchen, 3 bedrooms, shower room and SAUNA. 5 m from the houose is a lighted outdoor toilet. 2 bedrooms are pass-through but, if needed, it is possible to make two private bedrooms for two separate families. If needed, 3 additional beds are available (additional beds, additional fee!). Those who are interested have the opportunity to see sheep, goats. A swing for children in the yard. Possibility to rent bicycles (2 pcs, separate agreement, additional fee). 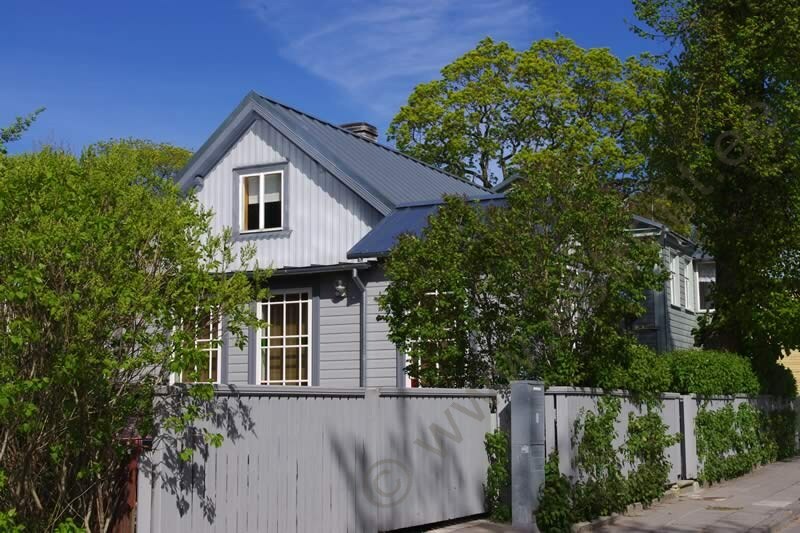 A private cottage with SEAVIEW renovated in modern style for 6 people (max. 4 adults!) in Saaremaa only 18 kms from Kuressaare. The view from the living room as well as from the terrace isluxurious! The guests have at their disposal the seaside territory of the property. 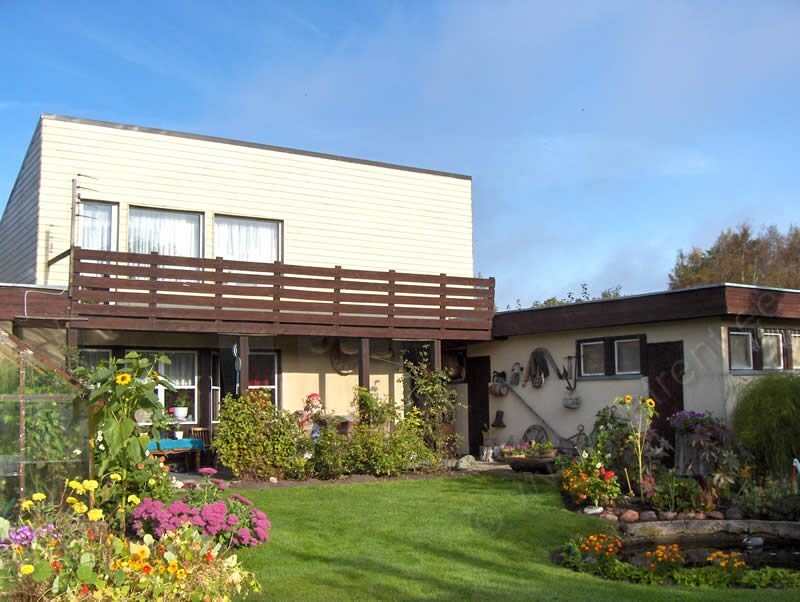 On the ground floor is a living room with open kitchen, SAUNA, shower room, washing room, WC. On the seaside of the cottage is a roomy terrace with fireplace. The terrace is partially covered by a glass wall to shield from the seawinds. Sleeping quarters are on the 1st floor – 2 bedrooms. The first bedroom has a broad double bed, the second bedroom has a couch/bed and a shorter (160 cm) single bed for a child. If needed, 2 additional beds (mattress for 2, incl. in the price) are available. TV. Music centre. Washing machine. Internet for own computer. SAUNA. Terrace with seaview. Parking in front of the cottage (free). Possibility to store bicycles in a closed storage space. Good location facilitates short trips to other parts of Saaremaa. Nearby are the most famous sandy beaches of Saaremaa (in Mändjala and Järve). Also Kuressaare with her freetime activities is only a short car drive away. A two-storey holiday home built in the 1990äs near Kuressaare in Mändjala holiday home area. Kuressaare is only 9 kms away. The sea (sandy beach) is a little over 1 km away. The holiday home is suitable for a smaller party of 7 people (MAX. 4 ADULTS)! On the ground floor of the hoiliday home is a living room with open kitchen, 2 bedrooms, shower room and WC. The bedrooms are connected with a small corridor, but both bedrooms can be used separately (both have separate entrances). Altogether there are 4 beds in the bedrooms. The first floor is an open space with 2 sleeping areas, altogether 3 single beds. On the first floor there are 2 balconies with garden furniture. Behind the cottage is an open garden with possibioity of barbequing and sun-bathing, garden swing. A roomy holiday home, renovated from a farm cottage built in the first half of last century, for max. 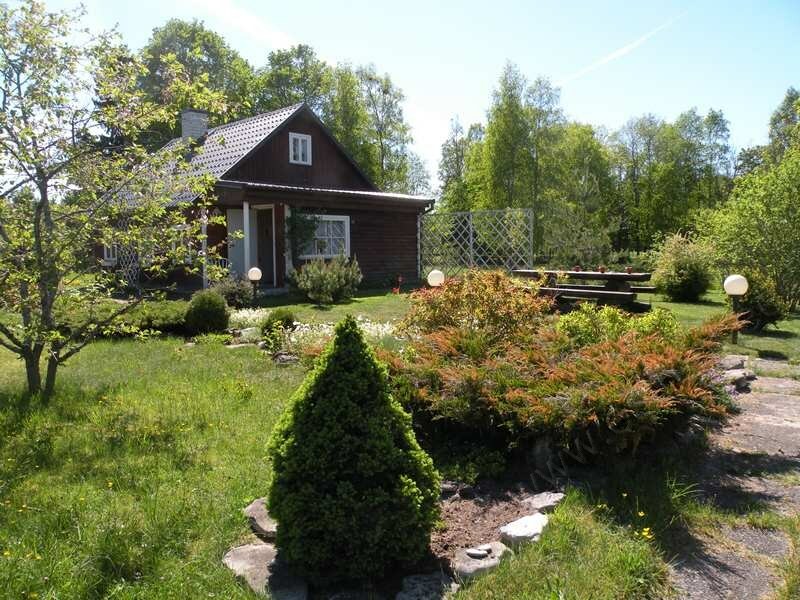 8 persons in Saaremaa - 17 kms from Kuressaare, 700 m from the sea, 3 kms from the nearest sandy beach. 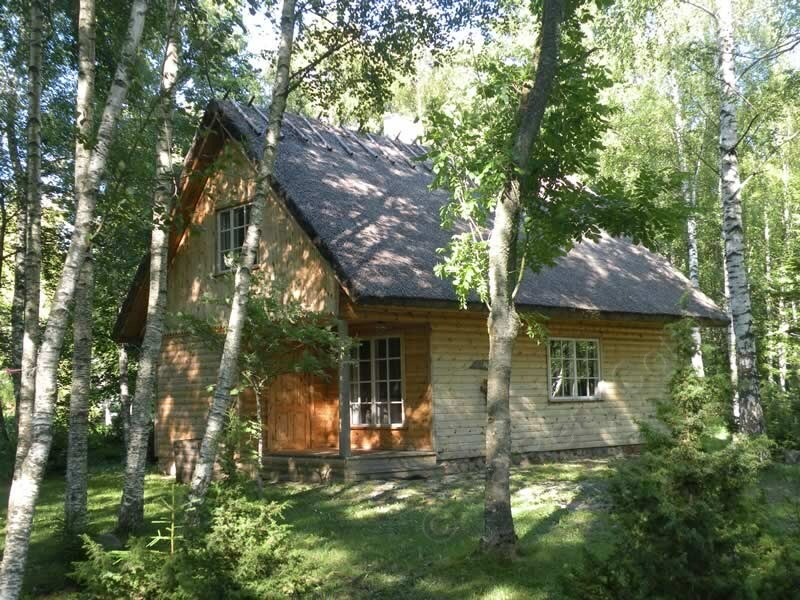 The cottage consists of a kitchen+dining room, 3 bedrooms, a sauna complex, WC. One of the bedrooms has been converted from an old kiln room which offers coolness in the summer heat. The sauna complex consists of a large rest room, shower room with jacuzzi and sauna. The cottage has its own terrace. TV, DVD player, washing machine, air condiitioning, jacuzzi, sauna. 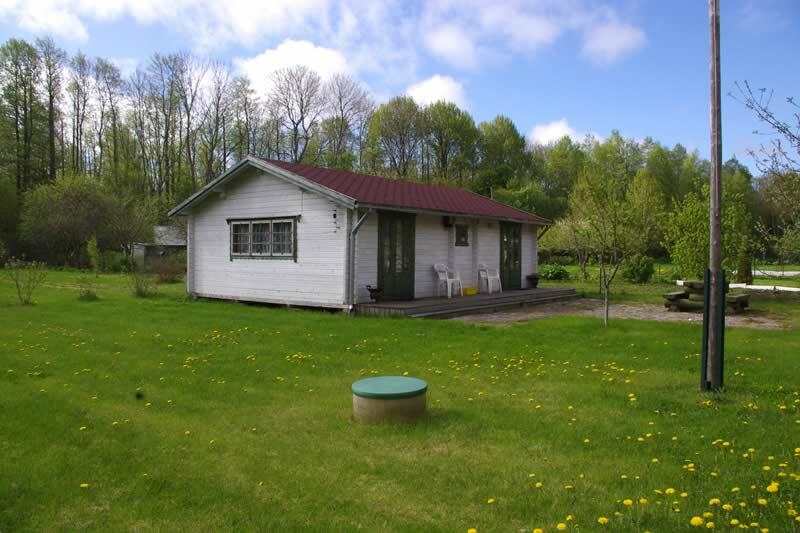 The cottage is surrounded by large, unfenced grounds. Possibility of barbequing. 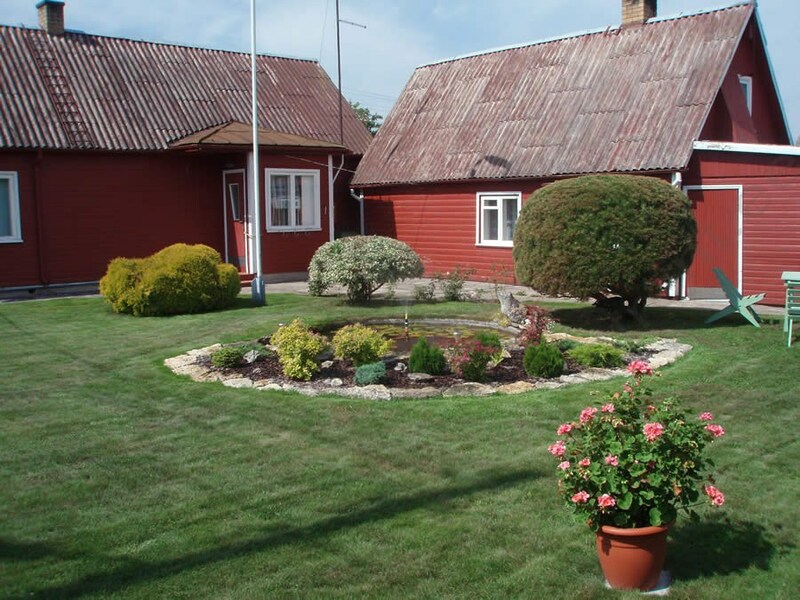 A holiday cottage near sandy beaches in Saaremaa! 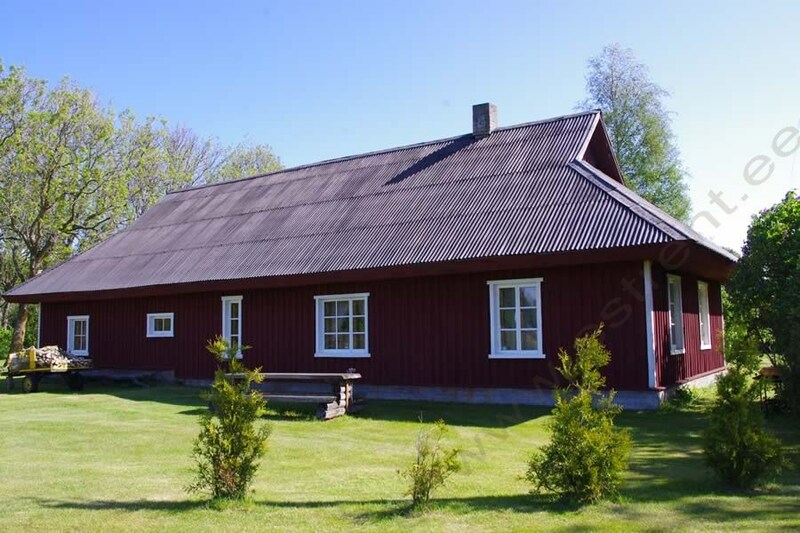 A holiday cottage for up to 8 people in Mändjala, Saaremaa. 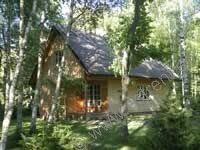 The cottage is located at a small private forest clearing. Beautiful sandy beaches are 10–15 minutes’ walk away. Major shopping centres, cafes-restaurants are 12 km away in Kuressaare. The holiday cottage was completed in 2008. A big living room with a kitchen, a bedroom, a SAUNA + shower, and a WC are located on the I floor of the house. A resting corner and 2 separate bedrooms are located on the second floor. There is a direct access to a balcony from the resting corner. There are 5 bed places in the bedrooms. Additionally, there is a sofa bed in the living room and 2 camp beds. Travel bed for children. TV. DVD player. Washing machine. BBQ. SAUNA. 2 (women’s urban) bikes. Garden furniture. A sandbox, swings, and a trampoline for children. Parking near the house.